Your Venue Search. First ... Get The Facts! 1. What are the Maximum & Minimum Number of Guests? 2. Can you Customize Your Menu to your taste and budget? 3. Does their menu include an Open Bar? 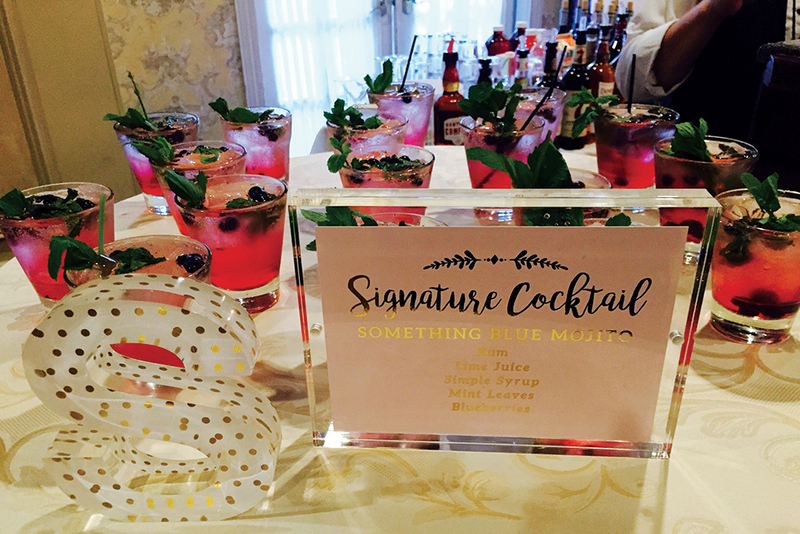 Signature Drinks? 4. 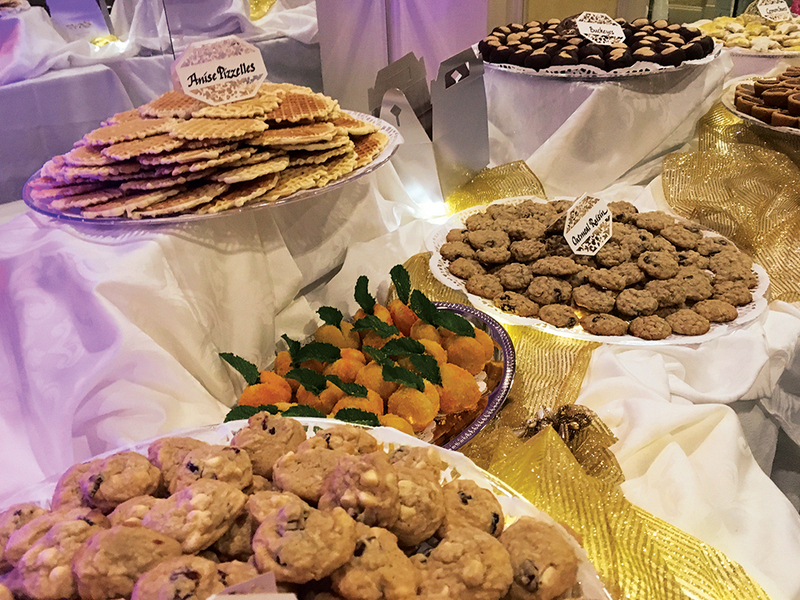 Does the venue offer On-Site Amenities, such as a restaurant, an after-party space, overnight accommodations, and a day-after breakfast? 5. 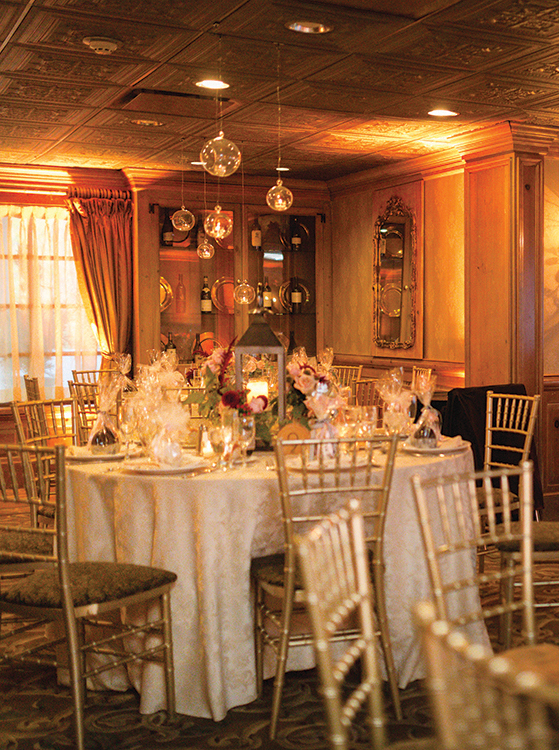 Can the Bridal Suite & the Groom’s Suite accommodate the needs of the bridal party prior to the wedding? 6. If the hotel is onsite, how many Guest Rooms are in a block for the wedding night and the night before? 7. What is the Time Frame for the wedding? 8. What are All The Venue Fees for the wedding? 9. How does Pricing Vary by month and day? 10. Who is your Point of Contact leading up to the wedding and the day of? 11. 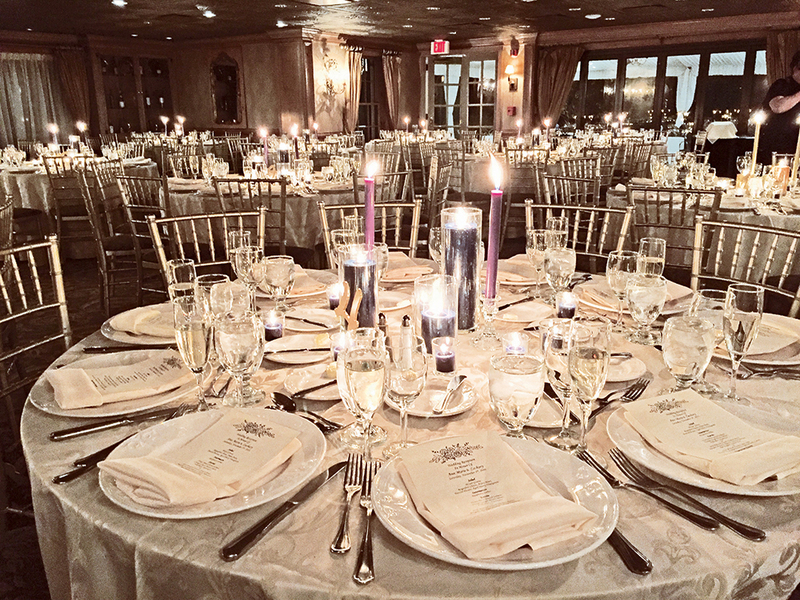 How much Set-Up will the staff do on the wedding day? 12. When can your Vendors Arrive for their set-up? The music for your wedding should also represent your style as a couple. 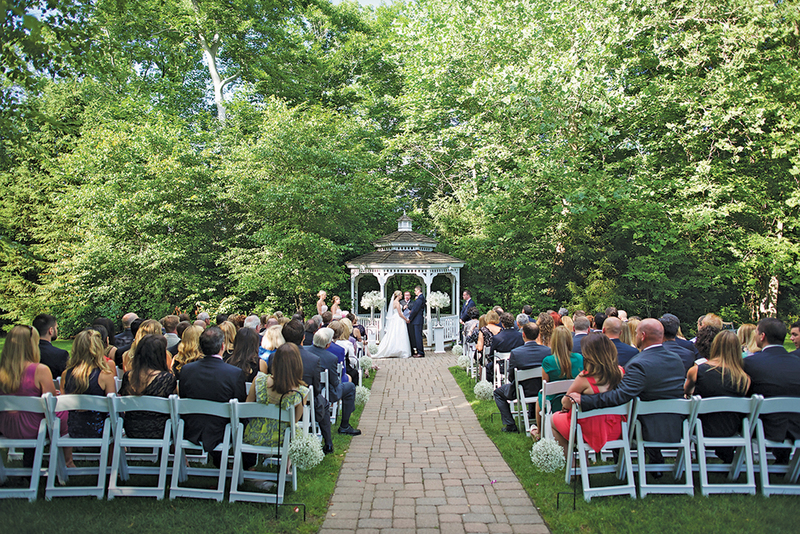 “For example, have a bagpiper greet guests and play for the ceremony, have steel drummers play for your cocktail hour during a summer wedding, or have a live duo with acoustic guitar for a rustic country wedding. Amanda Virga, sales manager and previously a maître d’, agrees. 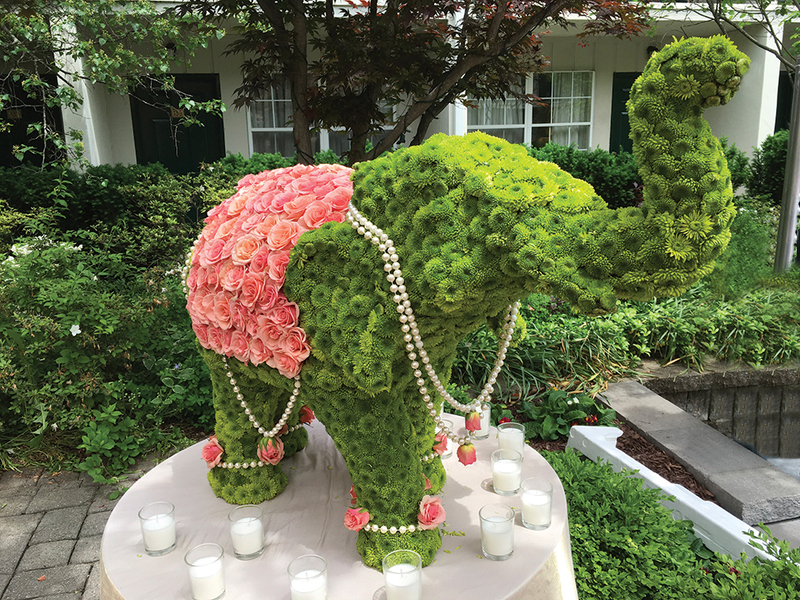 “So many couples are straying from standard wedding styles to incorporate unique aspects highlighting their particular interests. 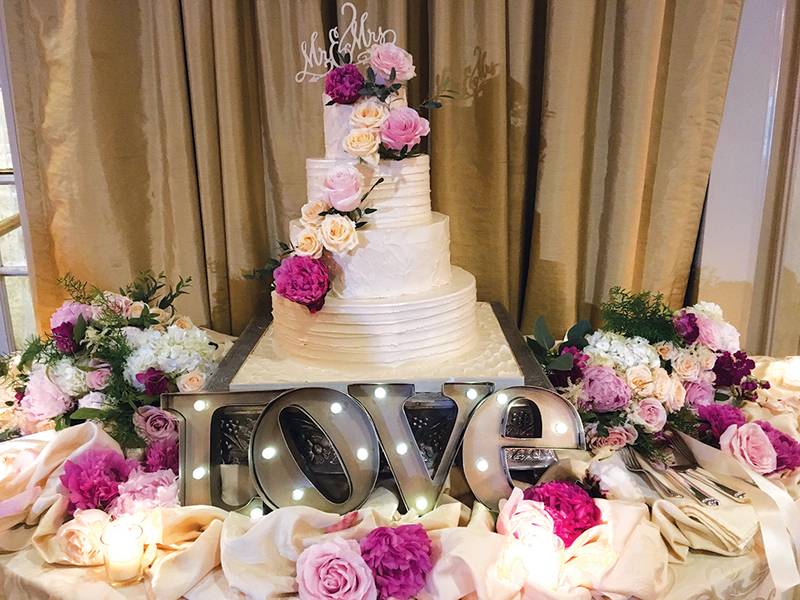 As coordinators, we embrace this creativity and love to accommodate special requests to create the celebration of their dreams. “We have two venues,” says Marien Barker, sales manager and maître d’, “and each has its own personality. Our smaller Grain House, which is adjacent to the Olde Mill Inn, is more rustic and can accept more casual décor. 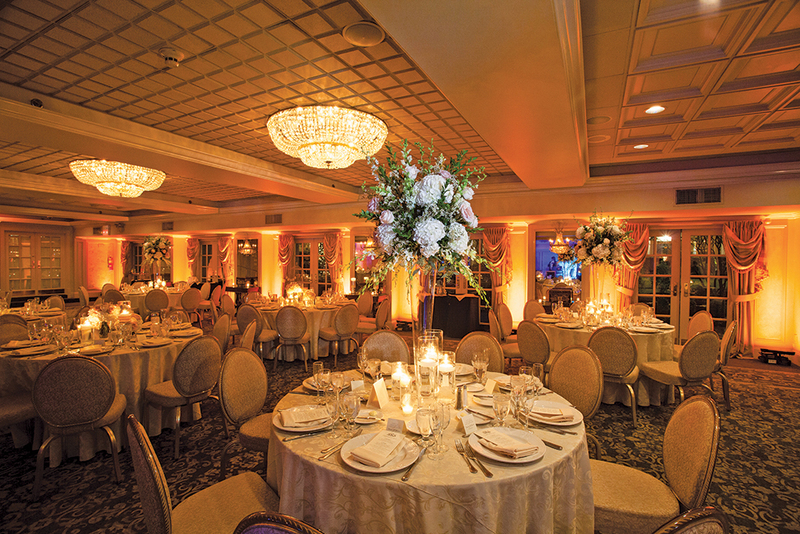 Our Washington Ballroom has an understated elegance. 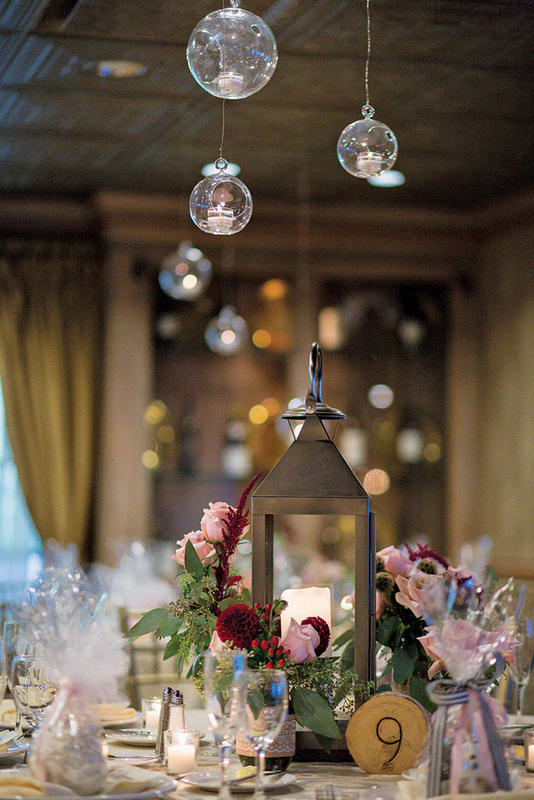 It can be rustic as well, but it also can be glitzy. 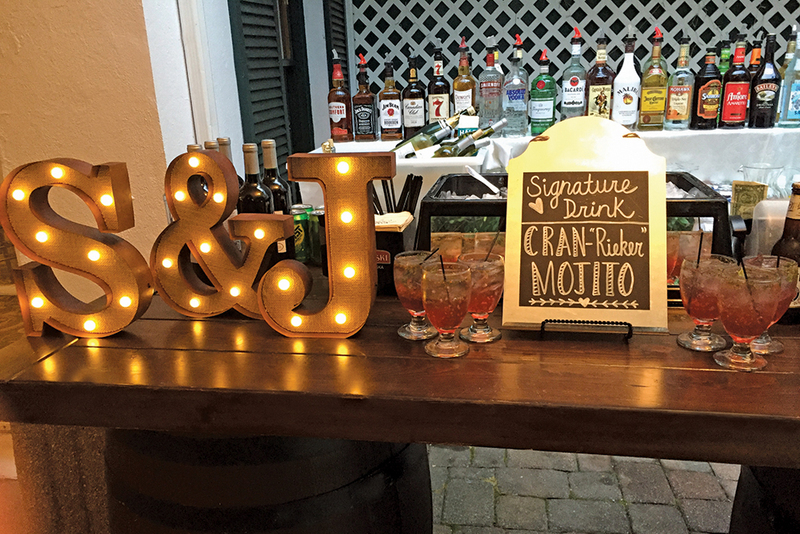 In both venues, almost any décor can work. 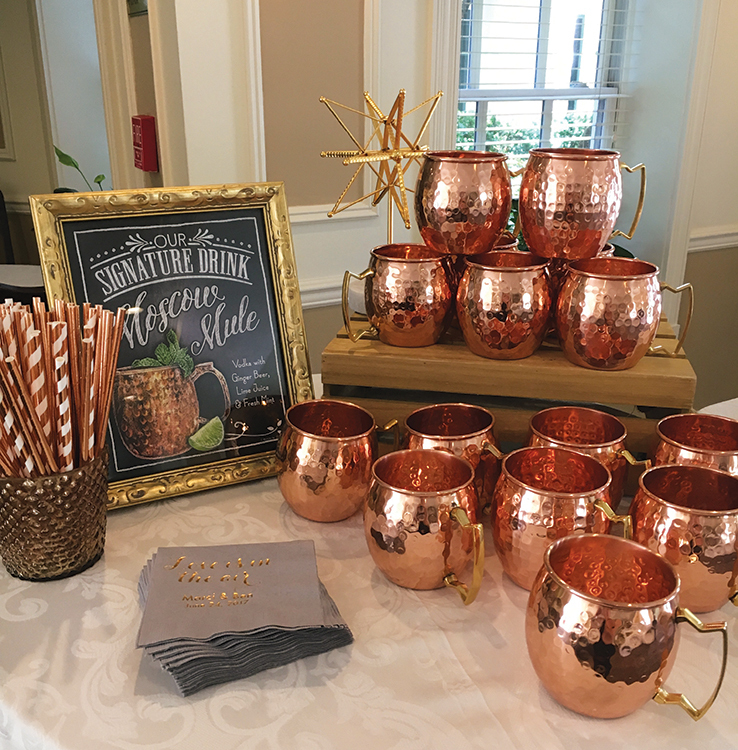 Rustic DIY décor has been a huge trend in recent years, and Amanda feels that both the Olde Mill Inn and Grain House, each with their own rich history and rustic character, mesh perfectly with this style of décor. 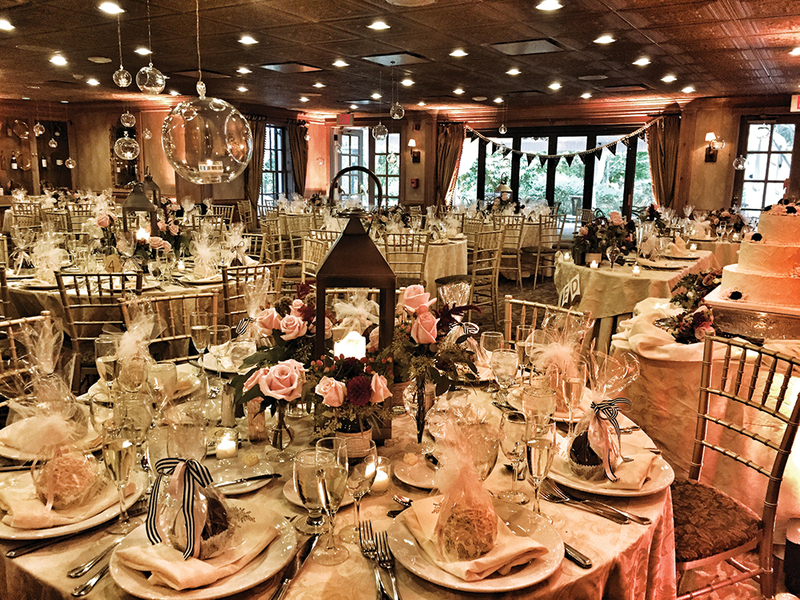 “Our outdoor grounds and warm intimate spaces provide the perfect setting for a rustic wonderland wedding with touches of burlap, wood slabs, mason jars, and babies breath. 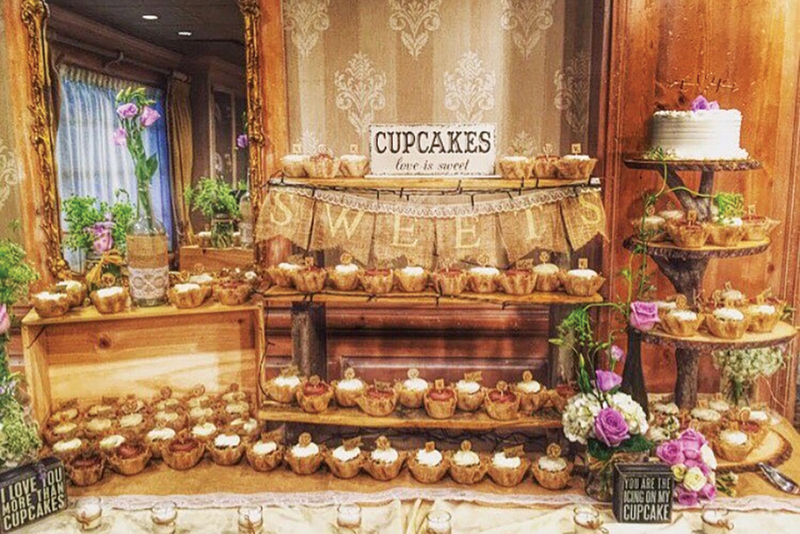 “Everyone has their own traditions, and it’s very important to include them throughout the wedding,” adds Amanda. 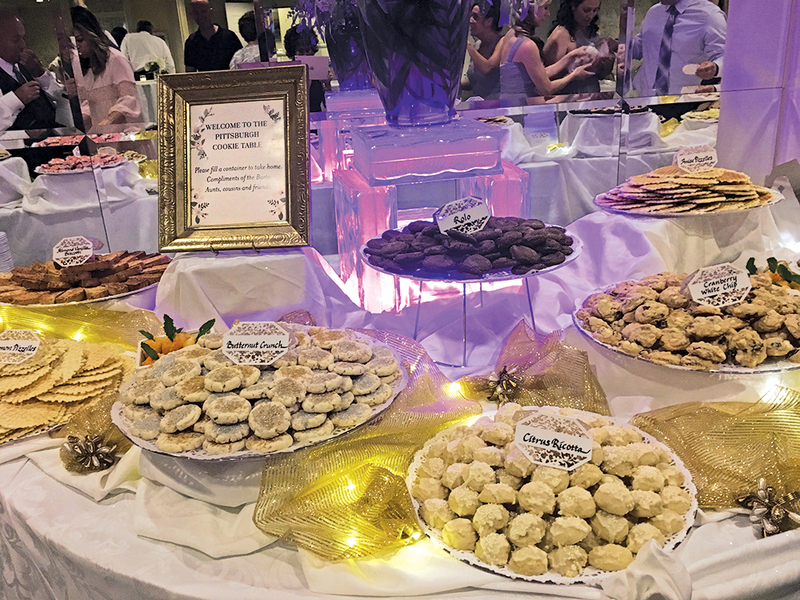 “Many cultural traditions have a big influence on the formalities of the reception, like, for example, the Greek Money Dance – one of my all-time favorite traditions! 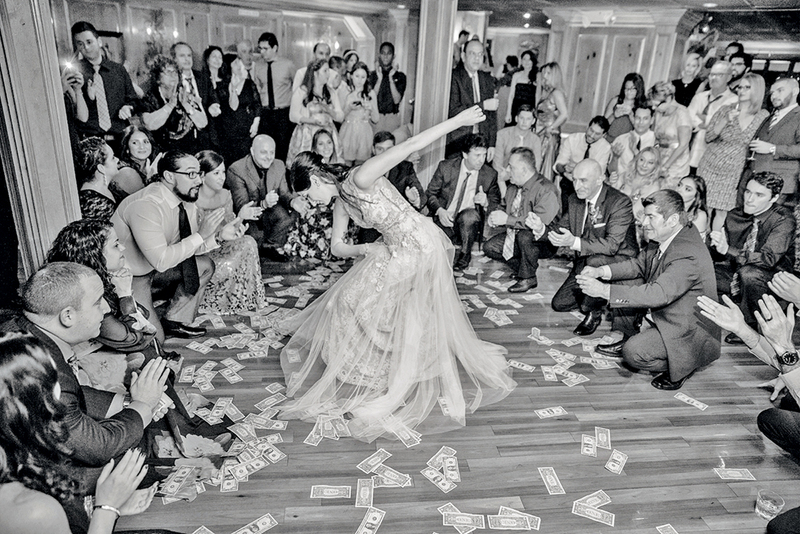 The excitement with money being thrown up in the air all over the dance floor gets the party started with some great energy! But her most memorable wedding was one she will never forget. 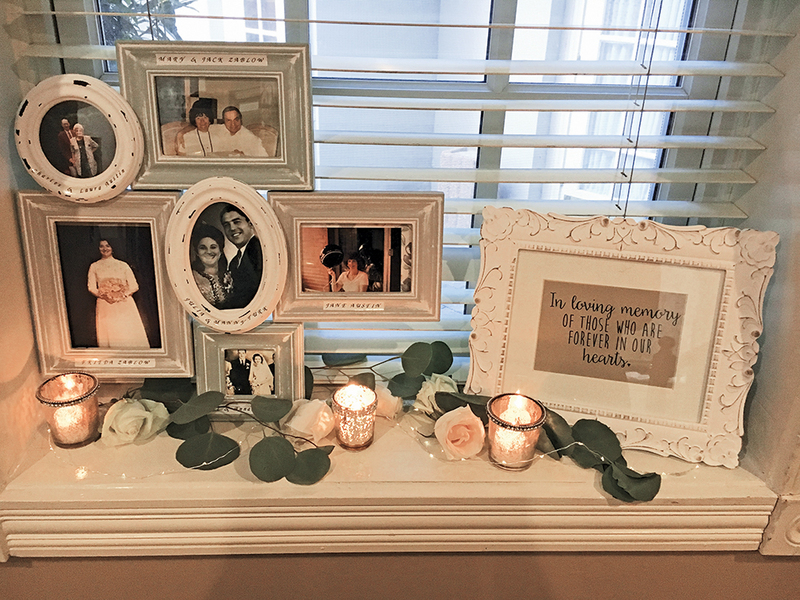 “Twenty minutes before their ceremony, the bride and groom received a call from their officiant who said he couldn’t make it to the wedding!” Luckily, Marien had been ordained as a ceremony officiant just the week before. “The bride asked me to step up and marry them. She had their ceremony vows on her phone. We printed out the options and cut and pasted all the things she wanted me to say. “I wasn’t sure how I would lead the bridal processional to start their ceremony, as well as stand up in front of the guests to do their vows. Of course, the Olde Mill Inn staff was there to back me up. Never having done a ceremony before, I stood in front of 190 guests and let them know I was just a stand-in! 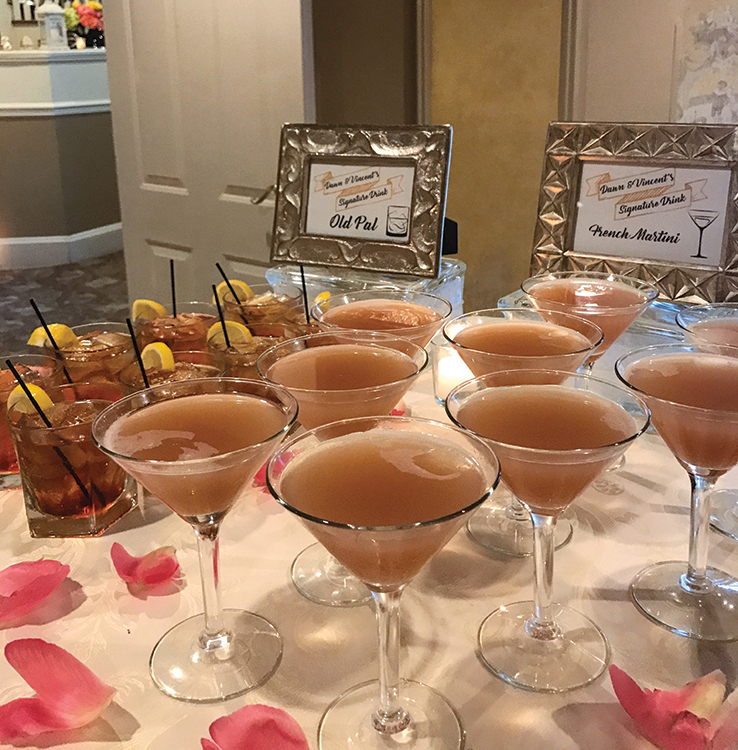 With pink clipboard in hand and the notes from the bride and groom, I officiated.” She received a standing ovation and then returned to her job as maître d’ for the rest of the night. The property has a rich centuries-old history. In 1768, Samuel Lewis built a water-powered gristmill and a barn on the Passaic River on land he acquired from William Penn. His grandson bought the property in 1777. Along a major thoroughfare between New York and Philadelphia, it was well located for commerce and also for the Revolutionary War. Legend says that the Grain House barn was used to store the grain that fed George Washington’s Revolutionary Army during the winter of 1770–1780 at their nearby encampment in Jockey Hollow, Morristown. After passing through several hands, restaurateur William Childs bought the entire property in 1929. He moved the barn to the other side of Route 202 and began converting it to a hotel, preserving the spirit of the classic structure. Not a beam was touched in the barn’s solid frame, and the Grain House remains to this day as it was more than two centuries ago. 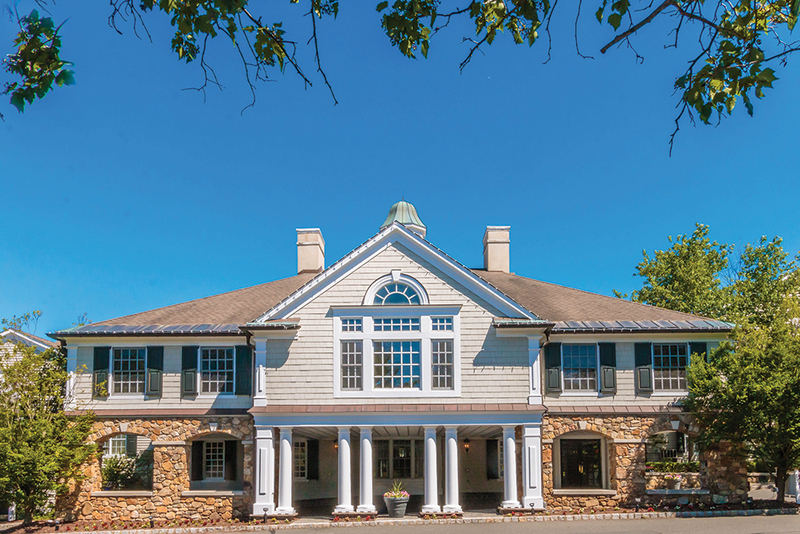 “Today, the Bocina Group maintains the Olde Mill Inn’s tradition of affordable elegance and the Grain House also continues to be a local favorite,” says Lindsay. Lindsay always dreamed of being an event planner. 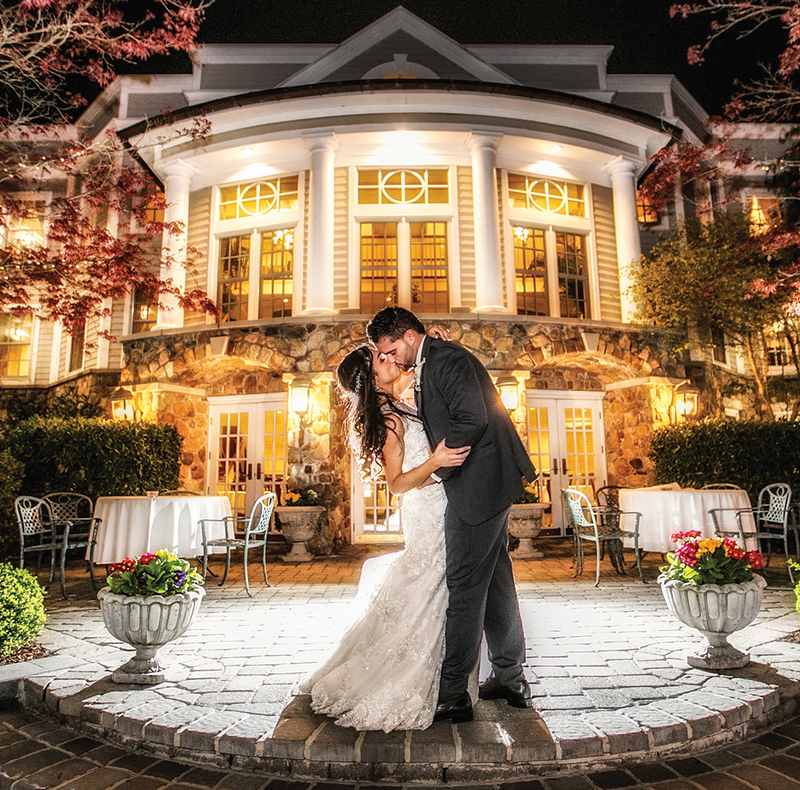 “I started at the Olde Mill Inn 10 years ago as our conference service manager. Then I had this incredible opportunity to become a banquet manager and a wedding maître d’. 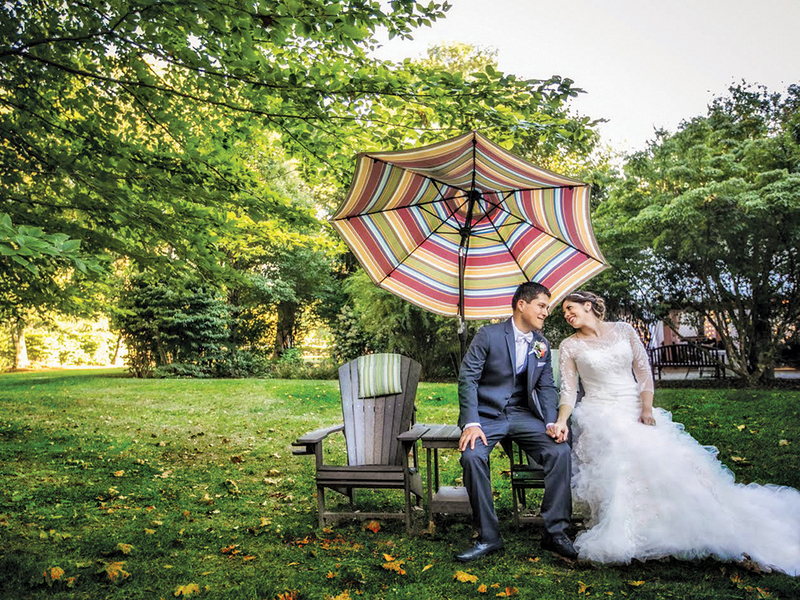 Amanda started working as an assistant for a wedding and event planner. 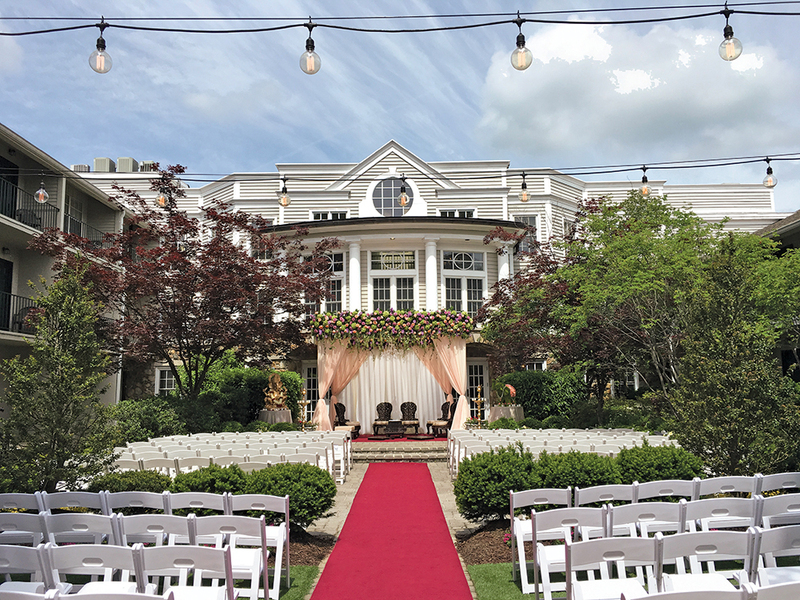 “Now I have found my home at the Olde Mill Inn, where I have personally coordinated over 300 weddings since joining the team in 2013! “The most inspiring part of planning a wedding for me is handing all the often unpredictable moments that can pop up the day of the wedding. No matter how many times you think you have covered all the details, countless dilemmas can arise the day of: a bride’s dress ripping, lost groomsmen ties, a DJ not showing up for the ceremony, a florist forgetting to put fresh flowers on the cake, even rings being left behind in a hotel room!